When John Henry Newman spoke of his hopes for the renewal of the Church, he imagined not only sunshine and the blossoming of new life, but icy winds and torrential rain. His forecast of ‘an English Spring’ was to prove remarkably far-sighted. With affection and wry humour, another English Cardinal, Cormac Murphy-O’Connor, reflects on his Cork Irish Catholic roots and English upbringing, his training for the priesthood in Rome, and his time as a priest and bishop during a time of unprecedented turbulence and change. Then in 2000, at the age of 67, with the Church worldwide engulfed by the sexual abuse crisis, he was a surprise appointment as Archbishop of Westminster. He reflects frankly on the mistakes he himself made and on how the Church has tried to respond to the crisis, and he speaks poignantly of the terrible anguish suffered by the victims of abuse by Catholic priests. Candid and informal, this unique memoir takes us behind the scenes of the dramatic conclaves in Rome that led to the elections of Popes Benedict and Francis, and we meet some of the remarkable characters who have shaped the Church in recent years, including Pope John Paul II, John Carmel Heenan, Derek Worlock and Basil Hume. Running through the story is Murphy-O’Connor’s passionate commitment to the family and to the community, and to the search for Christian unity. 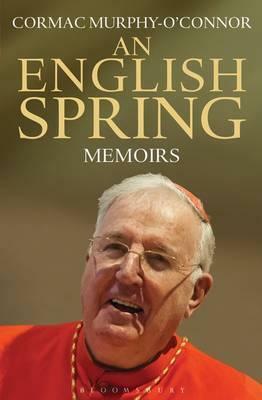 An English Spring is the very human journey of a Catholic priest trying to live out his faith and lead the faithful at a time of both opportunity and turmoil and confusion. Honest and engaging, it reflects the humility, warmth and charm of one of the best-loved church leaders of the last fifty years.